You’ve done the hard part. Your business is off the ground, and your services are carefully designed for new clients. Now it’s time to market yourself. The world of local search is everchanging, which means keeping on top of the latest trends and innovations is troublesome, to say the least. Local SEO is crucial, though. It’s all about increasing the visibility of your business within your community. With a physical location, your business deserves more attention from local community members. Claim listings – On sites such as Google, Bing, Twitter, and Yelp, your business’ physical location is listed. As the owner, you need to claim the listing. Update your site – On a business website, customers are regularly seeking information and answers to their questions. 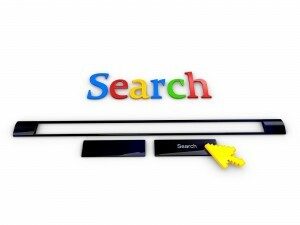 Update your content regularly for a better listing on search engines. Build citations – On multiple sites, accurate profiles with consistent information linking to your business site are crucial to search engine indexing. Aggregators – Aggregators like Infogroup and Factual license date to search engines, mobile apps, and GPS, to reinforce search results. Engaging content – If you have a blog, post regularly and include photos and videos for customers to enjoy. The right local SEO services will help increase traffic to your website and connect you with prospective customers. How? Through the careful selection of relevant keywords and geographic targeting. If you’re a plumber or electrician, focusing on the community, first and foremost, is crucial. If you’re prepared to take your business to the next level, contact Contractor 20/20 by calling (607) 770-8933. We’re awaiting your call today!